On December 23, 1991, tragedy struck the Willingham’s in Corsicana, Texas as their home became engulfed in flames. A neighbor smelled the smoke and found Cameron Todd Willingham standing outside his home soot covered and singed. Todd was screaming, “My babies are burning up!” (Grann “Trial by Fire”) as his three children were trapped inside. Todd told the neighbor to call the fire department while he attempted to break into the children’s window using a stick, but he was sadly held back by the intensity of the flames. Upon arrival, police and firefighters had to wrestle Todd down and restrain him for his own safety. Stacy Willingham had left earlier in the morning and came home to find her children had perished in the fire. The town of Corsicana quickly began to lovingly help the family as they started a funeral fund. In that time, arson investigators began looking at what caused the fire. Due to some irregularities, the arson investigators began to suspect that Todd had actually started the fire. The other major piece of evidence against Todd was the testimony of a jailhouse informant who was promised leniency in exchange for the testimony that Todd had confessed to him. 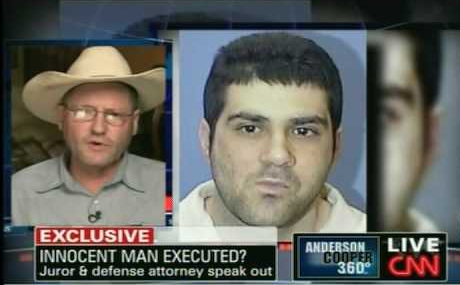 Cameron Todd Willingham was found guilty and later executed February 17, 2004. In 2004, Gerald Hurst, an acclaimed scientist and fire investigator examined and discredited each piece of evidence and his investigation has later been supported by other individual arson investigators. The testimony from Todd’s cellmate has also been recanted. If Todd were alive today, he would be able to seek an appeal, but he can’t because he was already executed many years before. The death penalty is is an immoral permanent action and should be abolished. Life in prison without parole offers similar protections to the public and allows freeing someone if they are found innocent. There are hundreds of cases like that of Todd Willingham. Luckily, more of them are turning around to happier endings. Anthony Ray Hinton was recently released in April of 2015 after being on death row for thirty years. Luckily, he had not been executed before now. In Mr. Hinton’s case, he had been struggling for freedom the entire time, explaining that the revolver that police say was used in the slayings didn’t match the evidence at the scenes. Attorneys believe that racial biases and Mr. Hinton’s impoverished background worked against him getting the case overturned sooner. As much as people want to believe the system works, according to a study published in the Proceedings of the National Academy of Sciences of the United States of America, 4.1% of those on death row are innocent (Pilkington “US death row study: 4% of defendants sentenced to die are innocent “). During the time of the study from 1973 to 2004, only 138 were exonerated. That would mean approximately 202 innocent people were killed during that time. The death penalty is a permanent action that does not leave room to overturn mistakes later. The option of Life Without Parole (LWOP) allows freeing the innocent and protects the public from the actual murderers held in prison. Some proponents of the death penalty would argue that it is the only fiscally feasible method, but they are wrong when comparing the actual facts of the situation. 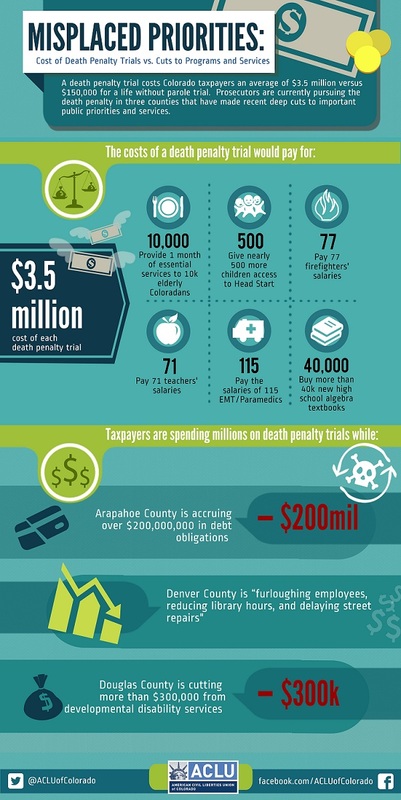 Death penalty cases are expensive because sentencing someone requires at least two trials. There is normally a first trial that acts as a determination of guilt and a later trial that determines if the person actually deserves the death penalty. That isn’t even taking into consideration all the costs of extended appeals. According to a Duke University study, replacing North Carolina’s death penalty would save taxpayers approximately $22 million dollars in just two years (Erb “Death and Taxes: The Real Cost of the Death Penalty”). This pattern of death penalty cases costing more than non-death penalty cases is repeated across multiple studies in multiple states. The truly fiscally responsible action would be to transition to only seeking LWOP. Other supporters of the death penalty would argue that retribution is necessary. They would argue that an “eye for an eye” is the best way to go. In the United States, it is considered murder when a person kills someone in revenge. Why is this any different when the state is the one doing it in proxy for others? If supporters really looked at that principle logically, they would realize that seeking retribution is unjust no matter who is seeking it. Some proponents would save their best argument for last and say that the death penalty is the best deterrent for murder. The death penalty supporters would also be wrong in that instance. A recent study by Professor Michael Radelet and Traci Lacock of the University of Colorado found that 88% of the nation’s leading criminologists do not believe the death penalty is an effective deterrent to crime. This should not be a surprise, as murder is often a very personal crime of passion. In cases where emotions are raging, the murderer is not considering the repercussions. This does not excuse the person’s actions, but when taking that into consideration, it is obvious why the death penalty is an ineffective deterrent. Should more men like Todd be executed? 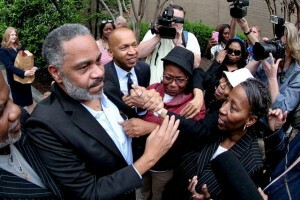 Should more men like Anthony Ray Hinton barely escape the hangman’s noose due to racial biases? Is it better that the innocent should die in the name of retribution? A rational and compassionate person should say no to these questions. Life is too precious to throw away due to an imperfect system. Erb, Kelly. “Death and Taxes: The Real Cost of the Death Penalty.” Forbes. Forbes Magazine, 22 Sept. 2011. Web. 25 June 2015. Grann, David. “Trial by Fire.” The New Yorker. The New Yorker, 7 Sept. 2009. Web. 25 June 2015. Pilkington, Ed. “US Death Row Study: 4% of Defendants Sentenced to Die Are Innocent.” The Guardian. Guardian News and Media Limited, 28 Apr. 2014. Web. 25 June 2015. You can have limited government or you can have capital punishment, but you can’t have both. Killing caged prisoners in cold blood is the ultimate big government prerogative.